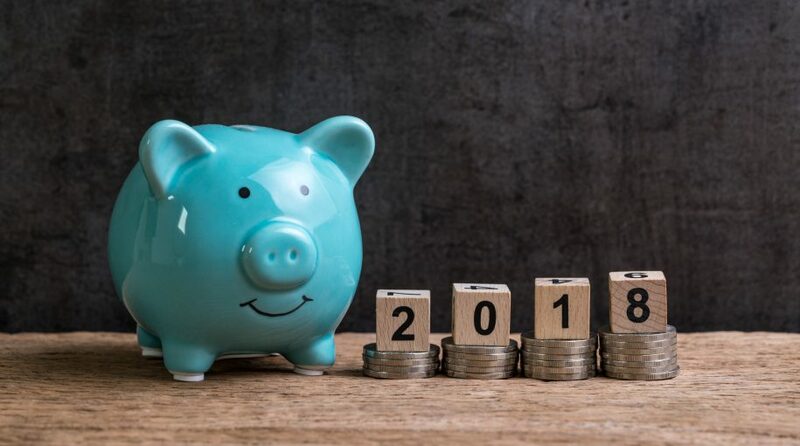 As ETF investors review their holdings for the year ahead, there are various considerations to build a well diversified investment portfolio. On the recent webcast (available on demand for CE Credit), How to Build a Long-Term, Low-Cost Portfolio, Matthew Bartolini, Head of SPDR Americas Research at State Street Global Advisors, pointed out that in the ETF space, the fixed-income category is growing in popularity despite the great year for equity ETFs, reflecting the ongoing demand for income-generating assets. Specifically, while equity flows nominally outpaced those of fixed income, bond funds saw assets expand by 26%, compared to only 10% growth in equity assets under management. Meanwhile, the Federal Reserve’s monetary tightening plans have pushed the short end higher while long yields have dipped as growth and inflation expectations remain muted. “We expect one, maybe two, rate hikes next year. With the long-end of the yield curve held down by low inflation and high demand for Treasuries, the Fed doesn’t have much room to move. Fundamentals suggest that the economy continues steady growth until the Fed ends the business cycle by tightening too much,” Gary Stringer, CFA, President and Chief Investment Officer of Stringer Asset Management, said. Among the various market factors in play, momentum has been the top performing factor over the past three years, especially this year, but value and yield have underperformed. The muted performance in these value plays may be partially attributed to the depressed volatility across asset classes, with traditionally higher risk assets experiencing the largest relative reductions. 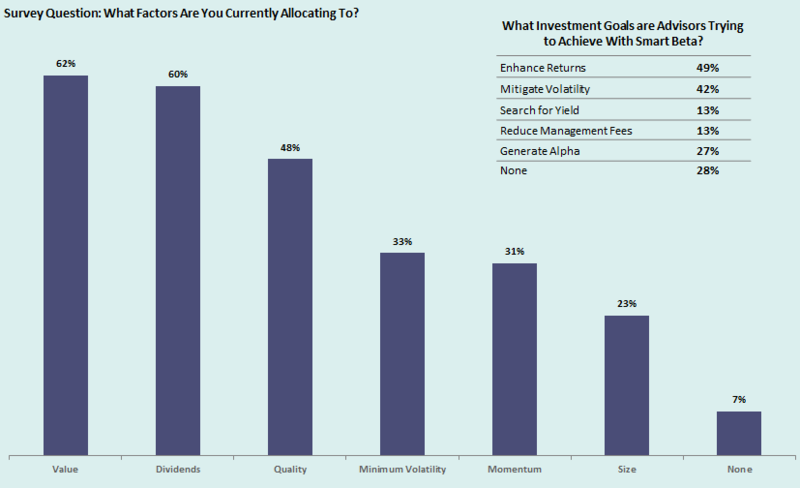 However, the value, dividend, quality and minimum volatility factors remain among the most popular style picks among investors. Investors should also consider potential risks in an extended bull market environment. Bartolini warned that historically, forward 12 month returns are capped when the market price-to-earnings is elevated, which may potentially indicate lower 2018 returns ahead. 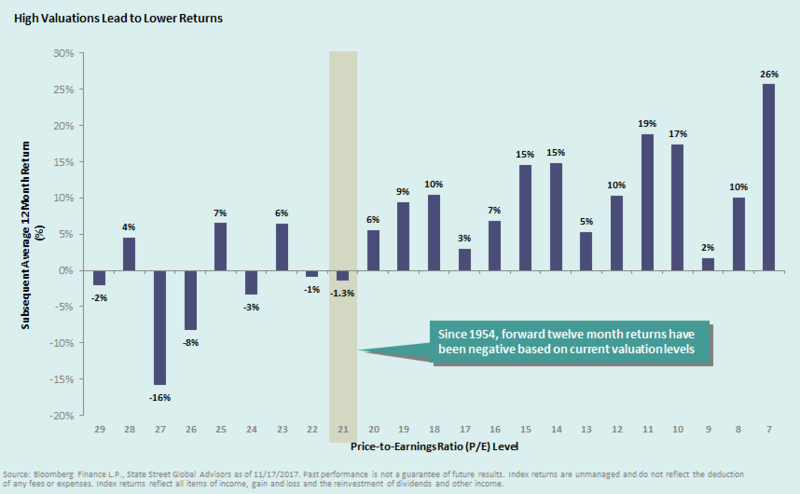 Looking at data since 1954, forward 12-month returns have been -1.3% based on market P/E of 21x.